Princesses are obliged to dress appropriately, by day as well as by night. A princess or other high-ranking lady wears a splendid chemise like this as a shift or a nightgown. 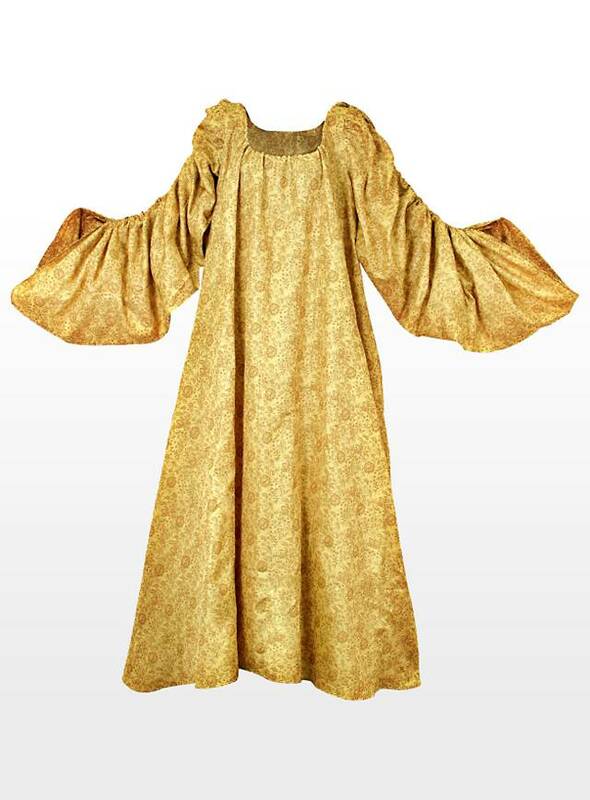 This damask shift a woven pattern in shades of modest gold has drawstrings to gather the sleeves. The neckline can also be adjusted with a drawstring. This Princess Chemise is cut very wide. Size S-M measures 141 cm from the shoulder down and is 65 cm wide. Dress - Queen Elisabeth I.